The Women’s March on Washington DC was a global phenomenon. It took place on the same day throughout the world, with nearly five million participants in over six hundred sister marches in sixty countries on all seven continents. Marches took place across New Zealand, with the largest gatherings in Auckland, Wellington, Christchurch, and Dunedin. They were timed to protest the inauguration of President Donald Trump on 20 January 2017, and were intended to send a message to his administration on its first day in office that women’s rights are human rights. The Women’s March on Washington organisers designed a strong graphic identity that could be downloaded and shared anywhere in the world, with each particular location added by local printers. 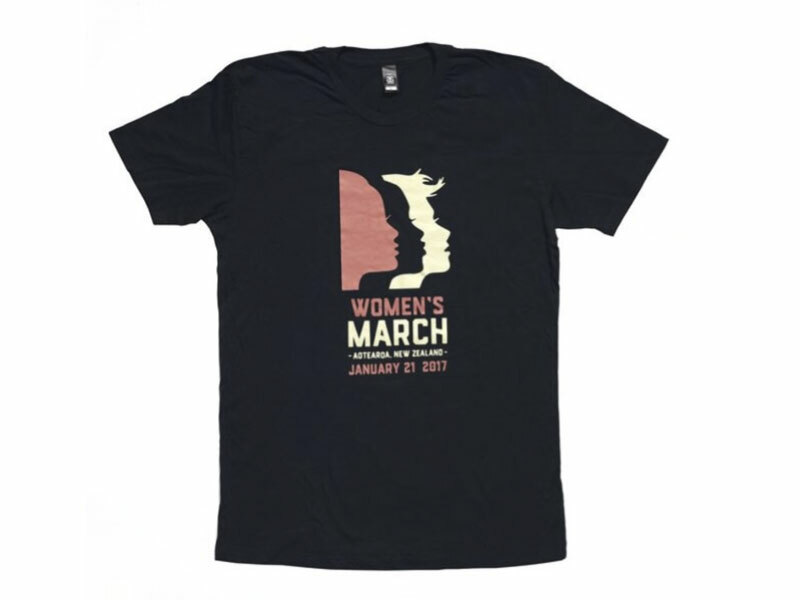 Branded T-shirts are a useful tool for protest movements, declaring allegiance and identity and acting as walking billboards. This placard was carried on the Women’s March from Parliament to Civic Square in Wellington. 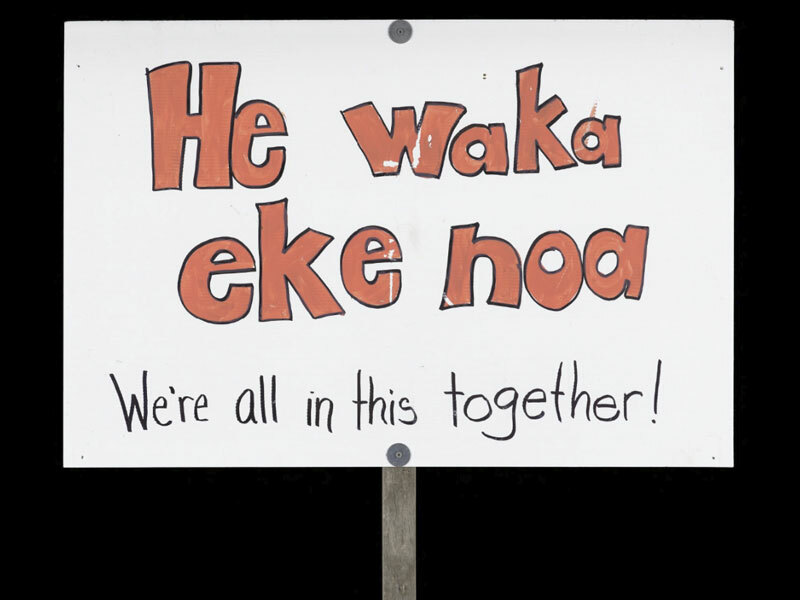 ‘He waka eke noa’ is a Māori whakataukī (proverb) which means ‘we are all in this together’. This placard was made by journalist Leah McFall for the Women’s March in Wellington. 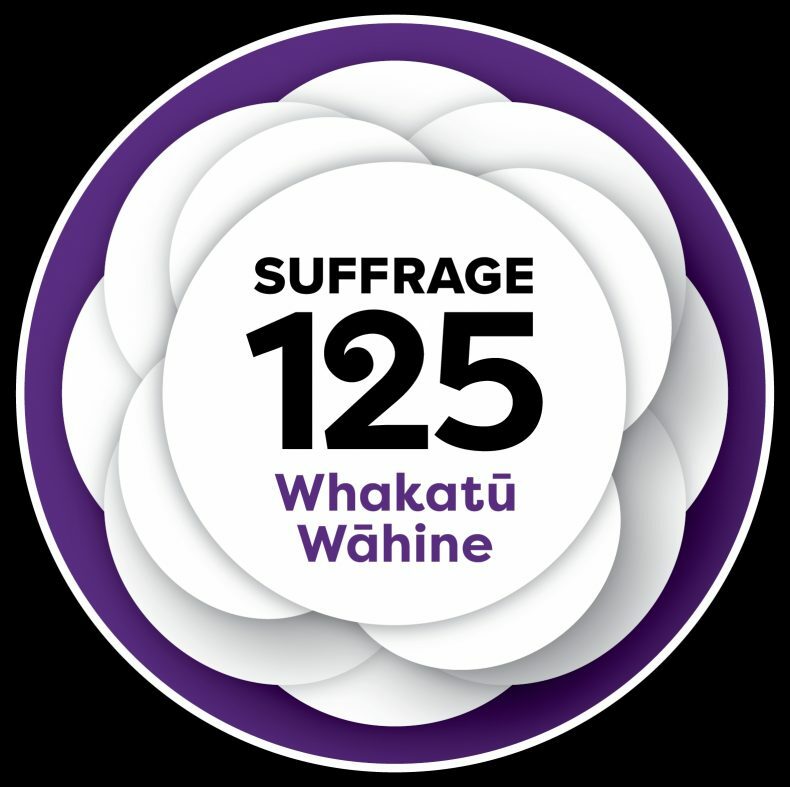 It invokes and pays homage to one of New Zealand’s most famous woman activists – Kate Sheppard – who led the women’s suffrage campaign. 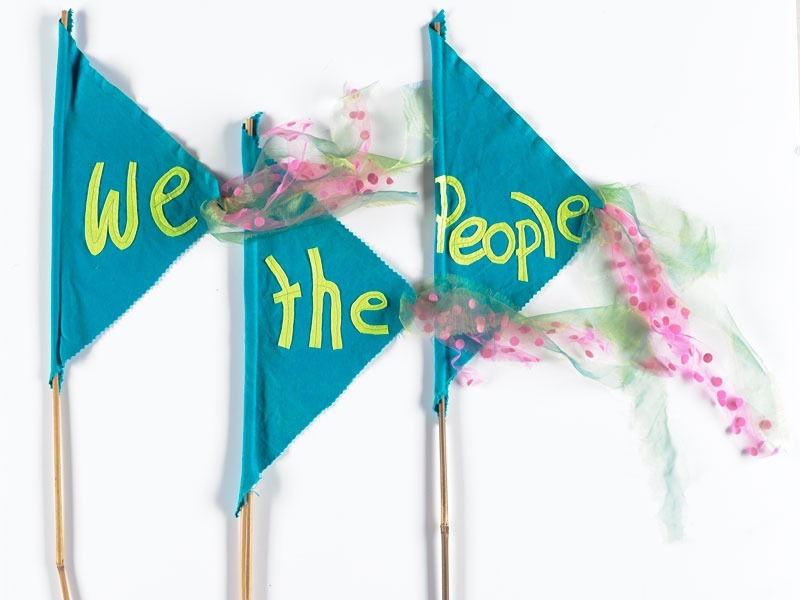 These flags were made by Jess Beauchamp for the Women’s March in Wellington, and they reflect the American origins of the protest. Beauchamp chose the dramatic first three words of the preamble to the United States constitution: ‘We the People’. Flags play a significant role in protests. Their colour, tactility, softness, and constant movement can generate a non-threatening and sometimes beautiful environment, while delivering a serious message. They can inspire creativity and collaboration in their making, and can be excellent examples of textile craft. But like other protest objects, they can take courage to carry. 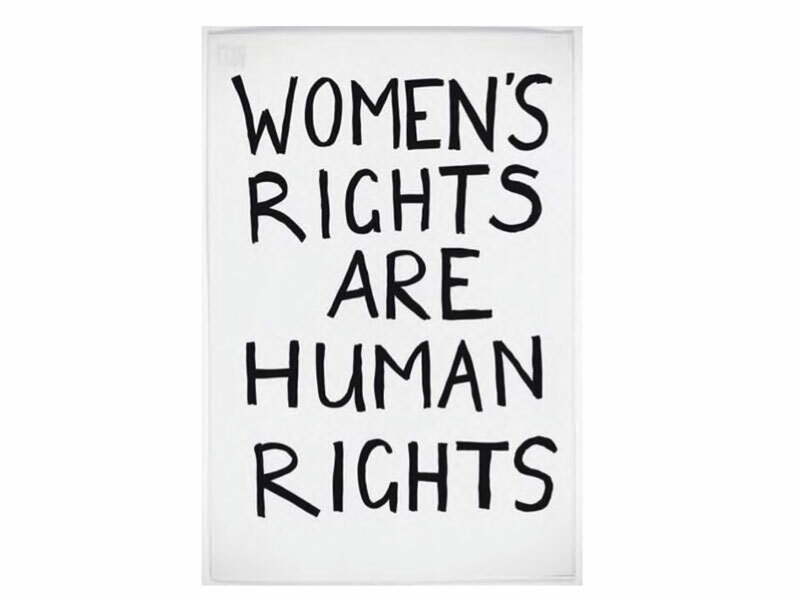 This placard was created by American-born Bridget Jackson and carried on the Women’s March in Wellington. 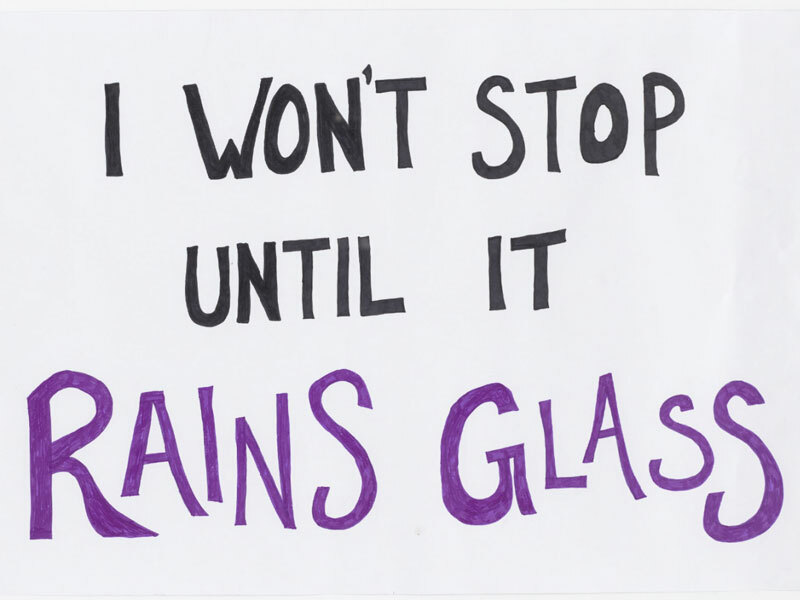 It refers to women breaking metaphoric glass ceilings believed to be holding women back, and the ambition that many had for Hillary Clinton to break the ultimate glass ceiling – that of the United States Presidency. Placards, flags, banners, and T-shirts play a significant role in protest movements, demonstrations, and in the accompanying visual record. The Women’s March protest objects were largely handmade and many placards were notable for their strong messages and sense of humour. Humour, satire, and parody were effective ways for protesters to deal with serious subjects, and helped keep protest spaces safe and non-threatening. By collecting this material we record the zeitgeist of this particular moment, but also ongoing concerns about feminism and human rights. These objects help us remember what happened and why. They tell important stories about local, national and global events. They also remind me how lucky we are that we can take to the streets and demonstrate safely – something that is not always possible in some parts of the world. Fantastic contemporary collecting. So important for this year as well.